Exhaust systems and headers. 20 years of superior performance. Dynatech exhaust systems and headers continue as the award winning leaders for fit, function and performance. 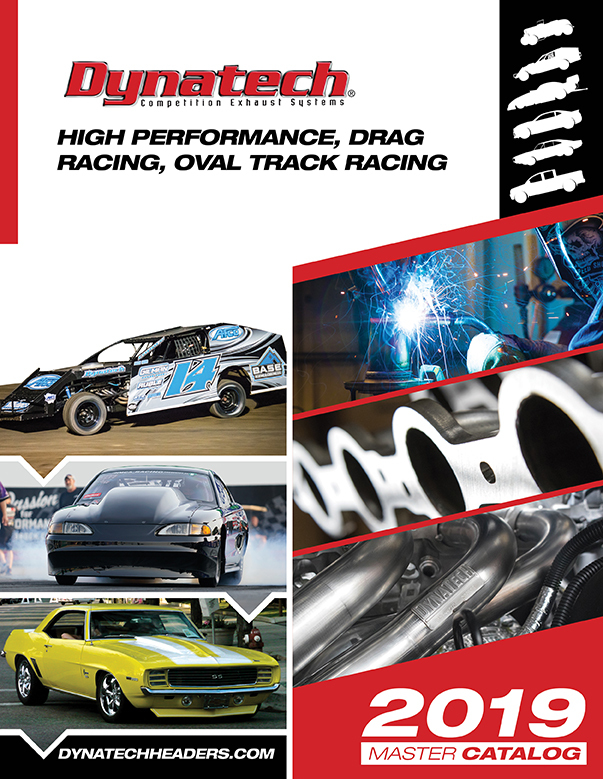 For more than 20 years now, Dynatech exhaust products provide superior performance for drag racing and circle track racing, and in muscle cars, street rods, high performance cars and trucks & SUVs. New technology focus for racing and performance auto exhaust. Advances in racing, engineering and design have automakers bringing a whole new breed of cars and trucks to the streets and tracks. This same excitement and a new wave of technology is all around Dynatech. You will see our focus on new racing and performance exhaust systems when you go through this site, or browse our catalog. Virtual reality exhaust design systems allow engineers to design the exhaust system in virtual space that will meet all necessary design criteria. Key interference and mounting points are captured and then transferred into engineering computer stations. Tube routings, lengths, and diameters are manipulated for proper fit and function. These processes cut design time by 90% and produce a much more efficient and powerful design. Like you, we’re racing and performance enthusiasts. At Dynatech, we’re racers and performance enthusiasts just like you. We understand the value of offering no-hassle, maintenance-free products to our customers. And we go to extra lengths to make sure that what you need is in stock and ready to ship. Many companies strive for the kind of quality and service that we provide. At Dynatech, it's "business as usual."